We are proud to offer PCA SKIN® professional resurfacing products & treatments. 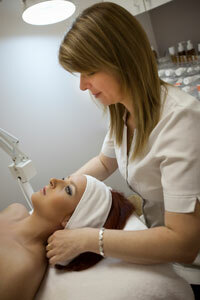 PCA’s peels are viewed as the gold standard in the clinical skincare industry. PCA SKIN® uses rigorous research & science to develop safe, highly effective products that deliver healthy, beautiful skin. PCA’s products contain no synthetic dyes or fragrances & no petrolatum, mineral oil or lanolin. Instead, they are formulated with ingredients to provide maximum biocompatibility. We will make at-home product recommendations to support your suggested treatment plan & to help you achieve & maintain positive results. Please allow up to 75 minutes for your initial peel & 45 minutes for subsequent treatments. 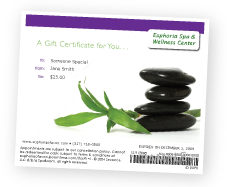 Our facials, peels & other corrective treatments are available as single treatments or in buy-4-get-1-free packages. Some restrictions apply & a telephone consultation with our PCA SKIN® Certified Professional is recommended prior to your first service. This is especially true if you are pregnant or nursing. Softens the appearance of fine lines around the eyes & nose; promotes a clear complexion, smooth texture & even skin tone. Especially beneficial for oily skin. Formulations may be blended with additional ingredients to enhance your results. Exceptional in treating aging skin, break-out prone skin, uneven skin tone & especially dry skin. Sensi Peel is formulated for all Fitzpatrick skin types. This gentle, multi-faceted treatment is an excellent option for sensitive skin & darker skin tones. Ultra Peel I is specially formulated to treat maturing skin, but is also appropriate for many other skin types & conditions. Additional plumping & hydrating ingredients make it a great choice for dry/dehydrated skin or uneven texture. Smoothing Body Peel is a 2-step formulation developed especially for the body. This treatment provides smoothing, firming & brightening benefits & an overall improvement in skin tone, texture & appearance. An excellent treatment for body acne or keratosis pilaris. Dermaplaning is a highly effective exfoliation method which leaves the skin immediately & dramatically smoother in texture. After only one treatment, dull, dry, listless skin looks & feels fresher & smoother. Typically, dermaplaning removes 2-3 weeks of dead surface cells, enabling treatment products to penetrate more quickly & easily into the skin to deliver the desired benefits. Dermaplaning involves the use of a surgical blade & requires training, skill & knowledge. It is a safe & effective treatment for all skin types & is an excellent alternative to microdermabrasion. Because dermaplaning also removes the fine vellus hair or “peach fuzz,” it creates a nearly flawless foundation for make-up. It is an especially popular choice for wedding or special event make-up. Dermaplaning can be repeated every 3 to 4 weeks if desired. Retinoids help enhance the absorption of vitamins, antioxidants & actives into the skin to maximize their benefits. Also increases cell turnover & post-treatment exfoliation. Other treatment enhancements infuse the skin with essential vitamins & antioxidants to reduce the potential for post-procedure inflammation. An excellent choice for detoxifying all skin types. The active blend of antioxidants, lactic, glycolic & salicylic acids exfoliates & promotes a clear complexion. A 3-step process using a formulation which contains antioxidants & enzymes that leave the skin smooth, purified & glowing. aestheticians across the US, Canada, Ireland, the United Kingdom, Australia & New Zealand with the finest in dermaplaning education, products, supplies and support. Classes are available monthly here in our facility, or in yours. Please call and ask for Deborah.